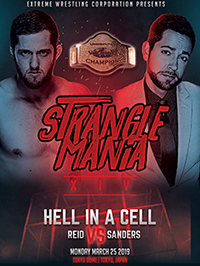 Night of Champions is an annual professional wrestling pay-per-view event normally held in July/August by The Extreme Wrestling Corporation. The first Night of Champions was held on August 30, 1998 in Madison Square Garden in New York City. Night of Champions is regarded as the second biggest pay-per-view of the year after StrangleMania. It is usually called one of the "Big Four", as, along with StrangleMania, Rumble in the Bronx and WrestleFest, was one of the original four annual EWC pay-per-views. Starting in 2018 and to be continued with every NOC event moving forward, the Main Event will feature every singles Champion in the EWC, all facing off for the EWC Undisputed Championship. The Rumble in the Bronx is an annual professional wrestling pay-per-view event, produced every year by the Extreme Wrestling Corporation since 1998. The event's main featured match is a battle royal-type match, titled the Rumble Match. It is usually called one of the "Big Four", as along with StrangleMania, Night of Champions and WrestleFest, it is one of the original four annual EWC pay-per-views. The winner of the Rumble wins a ticket to WrestleFest XV where he/she will challenge for the EWC Championship. 29th - FNR #464 - SEASON FINALE - LIVE! from Madison Square Garden in New York, New York.  EWC PPV Show's we've done in the past that are not included in the upcoming Schedule: One Night Encounter, Uncensored, Battleground, Meltdown and Affliction.